Recorded/performed at: Bennetts Lane Jazz Club, Melbourne, on 3 Feb 15. Tony Gould Rob Burke, Tony Gould 6 mins, 58 sec. Recorded/performed at: Bennetts Lane Jazz Club, Melbourne, on 1 Feb 15. Tony Gould Tony Gould, Imogen Manins, Ben Robertson, Dave Beck 4 mins, 24 sec. Recorded/performed at: Bennetts Lane Jazz Club, Melbourne, on 3 Feb 15. Tony Gould Rob Burke, Sam Evans, Tim Willis, Hiroki Hoshino, Aaron McCullough 12 mins, 27 sec. Also includes: My funny vallentine / Rodgers & Hart -- Schindler's list / John Williams -- The second time around / Jimmy van Heusen & Sammy Cahn -- Lover man / Jimmy Davis and James Sherman -- Shenandoah / American folk song -- Waiting for Jojo / Sam Evans -- It could happoen to you / Jimmy van Heusen and Johnny Burke. This is a tribute to revered Australian pianist, praised educator and musical thinker Dr Tony Gould, Australia's first professor of jazz. It comprises an audio CD and bonus one-hour video DVD documentary. The documentary illustrates Gould's approach to his collaborations with musicians of his own generation as well as the younger cats Gould plays with and has taught during his long-standing career. The CD presents complete performances of much of the music excerpted in the film. Three tracks feature Tony Gould compositions. It was recorded at Bennetts Lane Jazz Club and the Melbourne Recital Centre Salon. Tony Gould is supported by Ben Robertson (bass), Graeme Lyall (alto-sax), Dave Beck (drums), Imogen Manins (cello), Michelle Nicolle (vocal), Robert Burke (tenor sax), Sam Evans (tabla), Aaron McCullough (drums), Hiroki Hoshino (bass), Ted Vining (drums). DVD (60 min.) includes the following chapters: Creative music -- Improvisation -- The mystery and magic of music making -- Attitude and other things -- Intergenerational experience -- Listening. 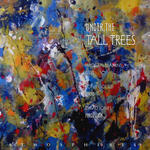 CD: Under the tall trees / Imogen Manins (cello), Tony Gould (piano), David Jones (percussion). 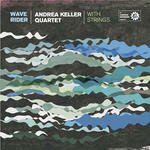 CD: Wave rider / Andrea Keller Quartet, with strings. 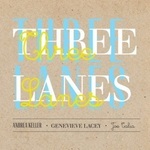 CD: Three Lanes / Andrea Keller, Genevieve Lacey, Joe Talia. 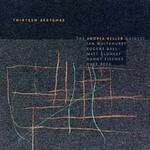 CD: Thirteen sketches / the Andrea Keller Quintet. CD: Kindred / Mike Nock, Laurenz Pike.